The primary goal of the Salmon River Integrated Large Fire Management Project is to develop inclusive partnerships for implementing zones of agreement. The Salmon River geographic area is unique within the WKRP project area in that the landscape has seen a number of large fires in the recent past which have created opportunities to approach the management of more recent wildfires from a resource management rather than a full suppression perspective. 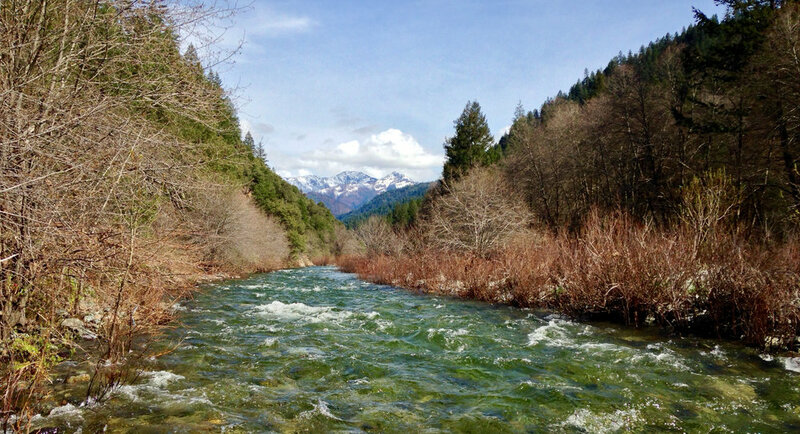 Yellow Jacket Ridge, the primary focus of the Salmon River Project at this time, is a ridge line that is strategically located above major Salmon River communities. Treatments executed on Yellow Jacket Ridge are designed to create strategic fuel breaks that will further develop the appropriate conditions and social license for managed wildfire use.